The former Toltec city states of Azcapotzalco and Tepanec were taken over by the Tepanec or Tepaneca tribe of Aztec/Nahua migrants when they arrived in the region (which must mean that the city of Tepanec must previously have had another name). Their culture was a sister to that of the Aztecs themselves, and also bore some relation to Acolhua culture, another Aztec branch which settled at Tetzcoco. The Tepanec arrived earlier than the Mexica (Aztecs), and they conquered a domain on the western shores of Lake Texcoco from which they expanded during the late thirteenth century. During most of the fifteenth century, one of Tepanec's subject cities was the once-powerful Azcapotzalco, which supplied a new king to Tlatelolco in 1372. Modern Tepanec itself is now called Azcapotzalco, a borough which lies at the north-western edge of Mexico City's environs. As part of a general invasion into the Valley of Mexico by Nahuatl-speaking northern peoples, tribes begin to arrive on the central plateau. Keen to intermarry into surviving Toltec royalty and nobility and claim the honour of Toltec descent, four of these peoples influence the rise of the Aztec empire, the Chichimecs, the Tepanecs, the Acolhua, and the Mexica. A direct descendant of the Toltecs is Atotoztli, fourteenth century ruler of Culhuacan. The Tepanec take control of the former Toltec cities of Coatepec and Coyoacan, as well as many others. Tepanec expands, taking Cuauhnahuac, Cuitlahuac, and Culhuacan to its east, and many other cities besides. However, while the Tepanec cities of Azcapotzalco and Tepanec originally seem to be part of a unified state, by the mid-fourteenth century at the latest they appear to become independent of one another for approximately a century, possibly following the reign of Acolnahuacatl. Acolnahuacatl (otherwise known as Aculnahuacatl or Acolnahuacatzin) had married Cuetlaxochitzin, daughter of king Xolotl of Tenayuca. His death means that the couple's son succeeds him in ruling Azcapotzalco (and also seems to be the point at which Tepanec is ruled by a separate dynasty for around a century). The reign of Tezozomoctli propels the city to new heights of power. An aggressive and proud leader, he grows to a great age, and creates dynastic matches with many other cities. Son. Probably poisoned by Maxtla. Brother. 'Breechcloth'. Older brother of Tayatzin of Tenochtitlan. Following the long reign and death of Tezozomoctli of Azcapotzalco, he is succeeded by his son, Tayatzin. Maxtla (sometimes referred to as Maxtla of Coyoacan, a city which Tepanec controls) soon incites a rebellion among Azcapotzalco's nobles and usurps the throne. Chimalpopoca of Tenochtitlan allies himself with Tayatzin, and the two conspire to retake the throne and kill Maxtla, but Tayatzin is killed instead and Maxtla gains Azcapotzalco. This means that he is also Atlacuihuayan's new overlord. Maxtla is defeated by the Triple Alliance under the new ruler of Tenochtitlan, Itzcoatl. Azcapotzalco is sacked and Tepanec is made subject to Tlacopan. 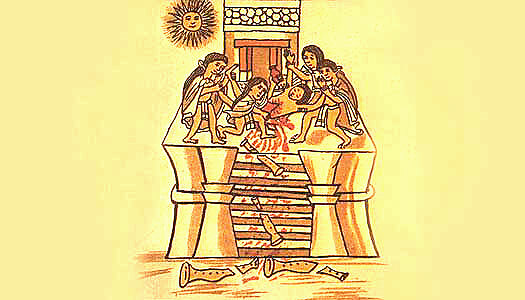 Maxtla himself is sacrificed by the exiled ruler of Tetzcoco, Netzahualcoyotl. The fate of Atlacuihuayan is not known but it has to be assumed that it too is incorporated into the empire. Tepanec is conquered by the Spanish from their new colony of Cuba.